Inclusiveness: we work across the Commonwealth which is very diverse and now connects to many of the fastest growing markets today in the world including in Asia and Africa, most with populations under 30 years of age. Scale: the Commonwealth represents one billion women all connected through a web of knowledge, relationships and common legal structures. Policy: we are unique in providing direct access and input with thinking to policy discussions including meetings of Commonwealth Women’s Affairs Ministers, Finance Ministers and Heads of Government. Our report launched in July 2013 with the ACCA on Women on Boards and in Leadership in the Commonwealth was described by Prime Minister Portia Simpson Miller of Jamaica as ‘groundbreaking’ and is an example of our impact and reach. 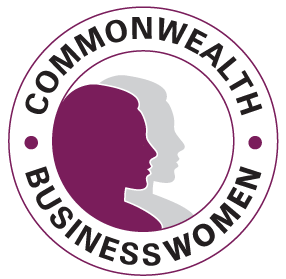 Partnership: our work for ‘Commonwealth Businesswomen’ (CBW) represents a unique partnership between the Commonwealth Business Council and the British Association of Women Entrepreneurs (BAWE) with access to 30,000 businesswomen across 100 countries. Timing: messages to us from the Prime Ministers of Australia, Trinidad and Tobago and Jamaica since we relaunched and refocused CBW in Perth in 2011 have highlighted the opportunity to influence and shape change. This is reinforced in recent discussions with countries hosting the Commonwealth Heads of Government Meeting (CHOGM) and chairing the Commonwealth through 2020 including Sri Lanka, Malta and Malaysia. We know that empowering women to participate fully in economic life is not only good for women and their families – it is also essential for a thriving economy. In fact, a nation’s competitiveness depends significantly on whether and how it educates and utilises its female talent. This is why I am very pleased to support the Commonwealth Business Council’s international strategy to promote and advance women in business to recognise, support and promote the significant contribution that women in business make throughout the Commonwealth. Supporting women in business, promoting greater gender equality on boards, increasing equality within the leadership ranks and in the workplace will ensure improvement in women’s economic opportunities and outcomes, and have important implications for the Commonwealth’s economy. I commend the Commonwealth Business Council and their partners for their efforts in this vital initiative. I am extremely pleased to lend my support to Commonwealth Business Women (CBW) in the quest for greater economic empowerment of women across Commonwealth. Launched in 2011 at the Commonwealth Business Forum and the Commonwealth Heads of Government Meeting (CHOGM), the CBW was inspired, in part, by the Port of Spain Consensus on Transformational Leadership for Gender Equality earlier in June 2011. As the first female Prime Minister of Trinidad and Tobago I will continue to give support to any and all initiatives – be they national, regional, or international – which legitimately seek gender equality and empowerment of women. I wish to congratulate the Commonwealth Business Council, for bringing together businesswomen to discuss important matters relating to gender equality and empowerment of women. As a precursor to the upcoming meetings of the 10th Commonwealth Women Affairs Ministerial Meeting (WAMM) and the both in this year, I am certain that the outcomes of your deliberations and discussions will not only enhance the status of women – particularly in business – but also redound to the benefit of the entire Commonwealth family as we work towards economic development and prosperity for all. I congratulate the Commonwealth Business Council (CBC) and ACCA for their pioneering work in producing their report on women on boards and in senior decision-making roles. This ground-breaking report will serve as a resource to the Commonwealth as it seeks to work towards the empowerment of women. In order for us to make significant strides in recovering from the recession brought about by the global financial crisis, governments must take an inclusive and holistic approach in the measures and policies that they intend to put in place, as we move into discussions on the post-2015 Development Agenda. Women, across all regions of the world, including the Commonwealth of Nations, have a critical role to play in this process. There is, therefore, a need for increased access to education for girls, increased female participation in labour markets and greater involvement of women in decision making at all levels and, in particular, in the board room and the corridors of power. The Government of Jamaica will continue to work with the Commonwealth to ensure that the inclusion of women in positions of power and decision-making remains a high priority.